Home / Behind Enemy Lines / Debate / Gene Berardelli / Governor / Joe Lhota / New York / People's Republic of New York / Rob Astorino / Russell Gallo / Zephyr Teachout / What Are You Afraid Of, Andrew Cuomo? What Are You Afraid Of, Andrew Cuomo? What? Did Someone say "Debate?" Governor Andrew Cuomo faced a primary this past Tuesday against little-known Zephyr Teachout, a progressive Democrat who wasn’t afraid to speak her mind. Teachout gained some attention this summer when Gov. Cuomo tried to remove her off the Democratic ballot through the court system and refusing to acknowledge he even had a primary, even avoiding saying her name. Rewind to 2010: Cuomo manuevered in the opposite way with the same effect - freezing out his Republican opponent Carl Paladino unless all listed party candidates running appeared in a debate, leading to a circus-like atmosphere that left his Republican candidate lost in the nonsense. Cuomo won handily in 2010. 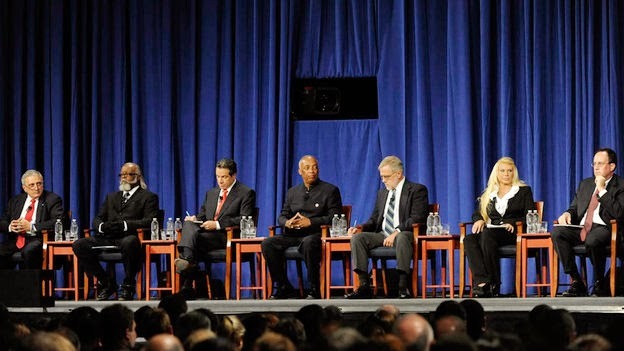 Was that debate a "disservice to the democracy"? These are the games Cuomo plays with democracy. Now that Primary Day has come and gone, don't be surprised if New York voters don’t see any debates between Cuomo and Republican challenger Rob Astorino. Or will we? Cuomo was, of course, favored to win the primary by a large margin even without debating his opponent. But his 20+ point win was as underwhelming as a 20+ point win can be. There can be no doubt that his national aspirations took a hit. Astorino wants eight regional debates. With a few chinks in the "Rose Garden strategy" armor, it seems more likely than ever that Gov. Cuomo will avoid Astorino at all costs to keep low-information voters in the dark while portraying himself as a governor who cares more about governing than campaigning. Why won't Cuomo debate his challengers to discuss his record on the issues? Is Cuomo scared to show New York voters who he really is? The answer is that while hiding from the people is not good for democracy, it is good for getting re-elected. Look what happened in the NYC mayoral race. Mayor Bill de Blasio didn’t attend the first debate against Republican Joe Lhota. In the second debate, de Blasio focused on tying Lhota to the National Republican Party, the government shut down, and avoided all New York City issues. The answer is that debates have more of an affect on voters because they see the candidates and hear where they stand on issues affecting their daily lives. In fact, debates have more of an effect on voters than media buys and palm cards. So maybe Cuomo isn't running from his opponents. Maybe he is running form his record. 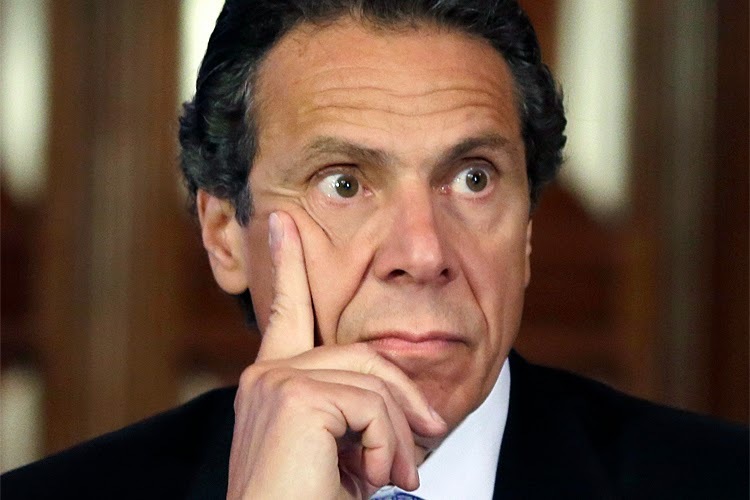 Is he scared to answer why New York ranks 49 out of 50 states to do business? Is he scared of defending his position on the SAFE Act with upstate voters? Is he afraid of the scandal coming out of his Moreland Commission, an anti-corruption commission he established and later shut down that is now under investigation for his office's interference with investigations into the Governor's own campaign? Explain, Gov. Cuomo. Don’t be scared.